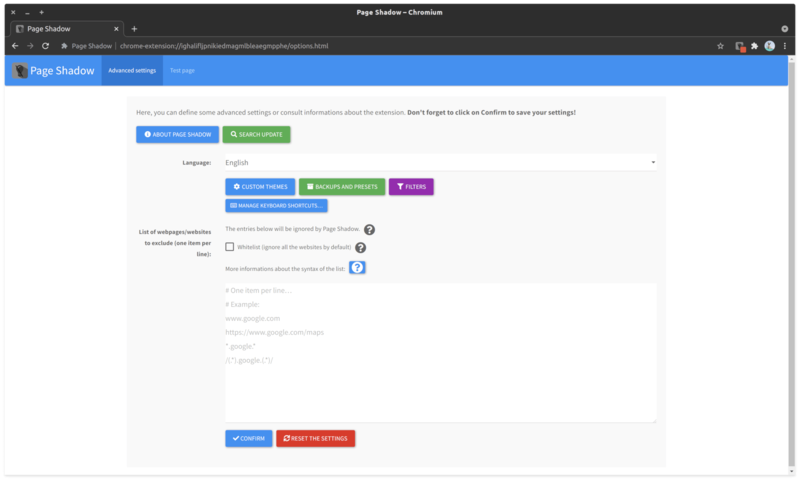 An extension for Chrome/Chromium, Firefox, Opera and Edge designed to render a web page more readable in a dark environment by decreasing page brightness or by increasing page contrast. This extension also have a night mode who apply an orange filter on the page to limit the blue light emited by the screen. 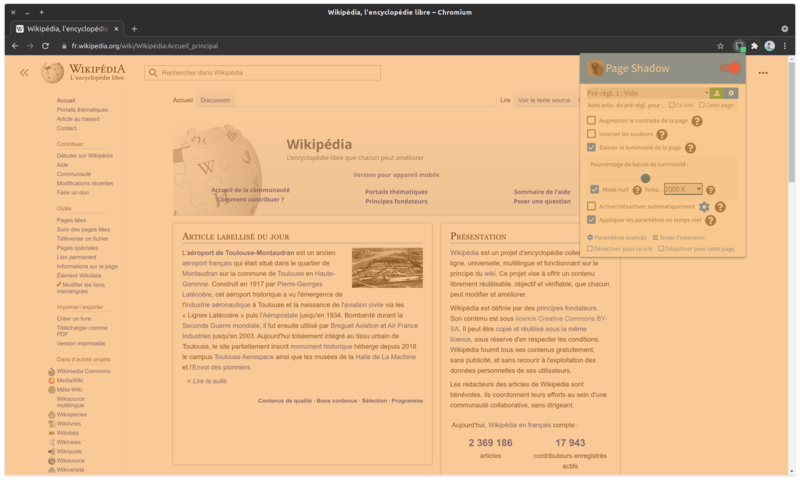 The page contrast increasing mode has many color themes. 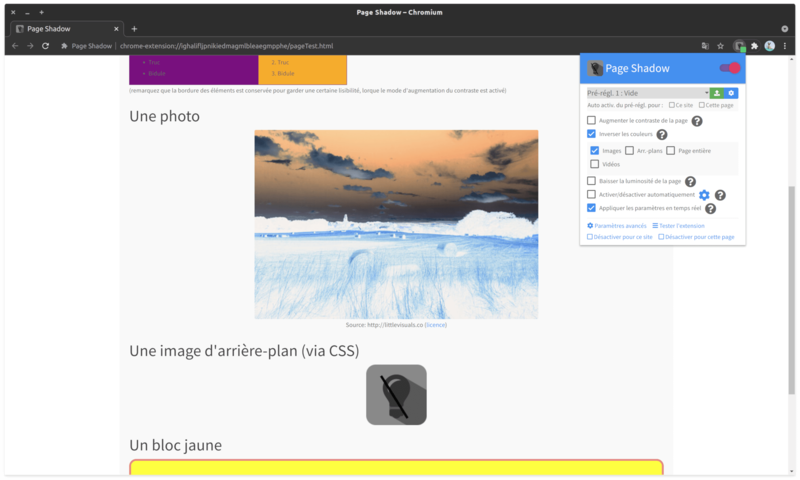 The extension has also a mode to invert the colors of the images to make them stand out better when the page contrast increasing mode is enabled. 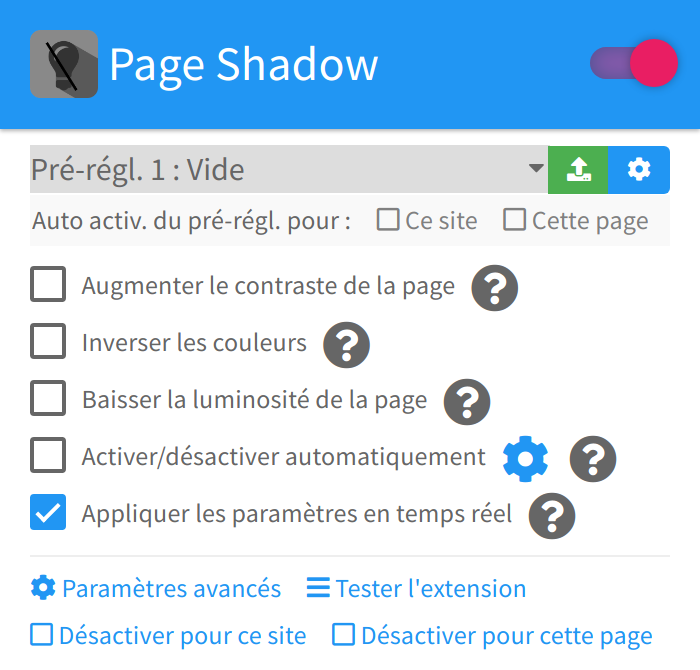 This extension is available in english and in french. L'extension est disponible en français et en anglais. 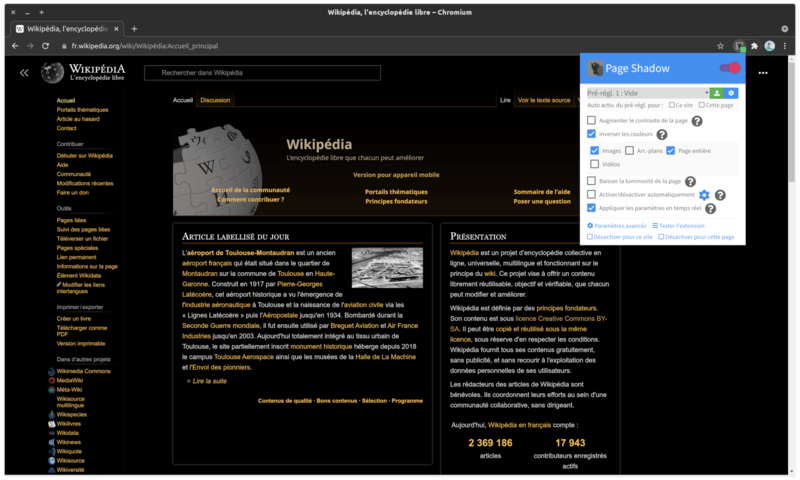 For Firefox, Chrome and Opera, the extension is available in the official stores. 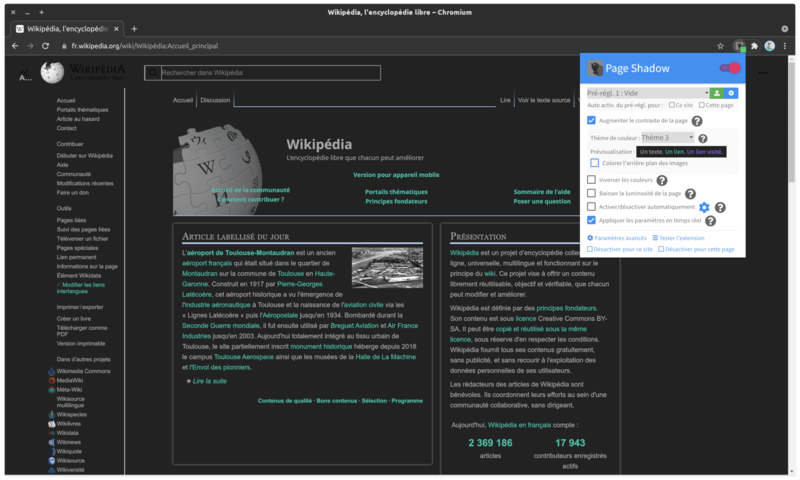 You can now enjoy the extension. Here is the hashes of the downloadable files. These allow you to verify the integrity of these files.